We’ve got some big ol’ updates for the Cool Tools section. The folks at Piriform have been cranking out some cool stuff, and they just keep making them better and better. Best of all they are all free. They have several tools that help keep Windows happy, a system cleaning and fixing tool, a defrag tool and a system information too. Check out a brief description of each one below, and be sure to follow the links to the sites for each tool to get all the details. Be sure to check all of the Cool Tools that we have posted as well as all the good articles in the Library. CCleaner – This is a great tool for finding files that can be safely removed in order free up space on your hard drive. It also has a great registry cleaner, a tool for managing program startup when your machine starts, an interface to uninstalling software and more. This is a great system maintenance tool. 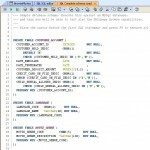 Defraggler – This tool is one of, if not the best defrag tool for Windows. This tool is not the fastest, but that’s OK because it’s very thorough. It takes time to do it right, and do it right it does from my experience. Speccy – I superb system info tool. No install necessary, just run and collect data. In all, these free tools rival the commercial alternatives and any tech should add them to his or her kit. Check ’em out. Here’s another application tidbit that I ran across and just have to share. If you are like lots of other folk in that you manage or contribute to any number of blogs out there in cyberspace, and although the majority of your writing and editing time is spent at the PC, you’d love to have the option of firing up your iPhone and tapping out a blog post right there on the spot if the desire so moved you. Now, unfortunately, this post isn’t going to help people that don’t have or use an iPhone, at least not today. I would expect though, that the app I am going to talk about will get ported to other platforms, especially popular ones (read: droid/googleOS). OK, for those iPhone users though, there is an app that so far seems to rise above the rest of the crowd. It’s called iBlogger and in my time with it has been quick, nimble, easy to setup and use and generally makes blogging from my iPhone an almost effortless experience. The app supports many different blogging platforms, here is a short list that covers the major ones: Blogger, Expression Engine, MovableType, SquareSpace, TypePad, WordPress. They claim that more are being added all the time, so if your favorite isn’t listed now, you might see it before too long. Some of the other features that I like are, for example, I can setup multiple blogs and easily post to different ones, you are not locked in. You can upload pictures pretty easily too, either taken on the spot or from the Camera Roll. It seems that there is a limit of one pic per post as of this writing, but again I bet that gets fixed soon. To sum it up, this is a nice little blogging app, and from what I have read and comparing it to other apps that I have tried that supposedly do the same thing, it is light years ahead of the competition. It’s not free though, so that could be a drawback for some folk. When I purchased it recently it was going for $9.99 and so far it has been well worth it. Now, there is one last tidbit I want to share. This is for anyone that already has this app, or is planning on getting this app. There is one thing that would happen when I made a post that really annoyed me, and that was when the application would insert an unwanted advert link at the bottom of the post. You know what I mean, one of those “Posted by iBlogger blah blah blah” links that took people back to their home page. Now, I don’t mind supporting an app, when I find something good I want to share it with people like I am doing with this post. But I don’t want a link like that at the end of each and every post, especially when I didn’t know it was going to do it in the first place. So now I want to share with you how to make the application not do that. It’s actually really easy to do, but it wasn’t that easy to find, so I want to make sure all of you know about it right up front. It’s an option setting like it should be, but it’s not an option you get to from inside the application. Go to the main Settings section for the iPhone itself, and scroll down till you see a link to iBlogger settings. Click on it and you will see only two options, one for editing the footer and one for turning off the insertion of said footer. It’s just that easy! *Note: No compensation or consideration of any kind was received by Solarum for this post/review. UPDATE: By now, if you have been reading much of what I write, you most likely have picked up that I put a lot of stock into the Customer Service that I receive from a company, I mean that speaks volumes as to the core of that company as far as I am concerned. I also strive to deliver the utmost in customer service as I go about my day to day travels, so maybe that is why it means so much to me when I am a customer. That being said, when I purchased this piece of software and received my registration information (Name and Key) to unlock it, something was amiss. I believe it was generated and mailed from an automated system, and I don’t know what went wrong, but something did and it didn’t work when I tried to register my software purchase. I emailed tech support and explained the situation, even including relevant details from my purchase receipt. I was hoping for a quick response, but I didn’t expect a reply within mere minutes, and not just some automated “Yeah, we gotcha” message, but a fix for the problem that worked. Oh yeah, that’s good customer service. Maybe I just got lucky this time, maybe not, I prefer to think of it as someone who shares my same vision and passion for kickass customer support! I was so impressed, I had to update my review, and share the good experience. Thanks. Great stuff ahead! I came across something that I have to share with everyone. This is a Cool Tool pick from all of us here at Solarum, and it’s a top notch pick if I say so myself. Let me start by saying that I love databases! I love to build ’em, tune ’em, tinker with ’em, you name it. 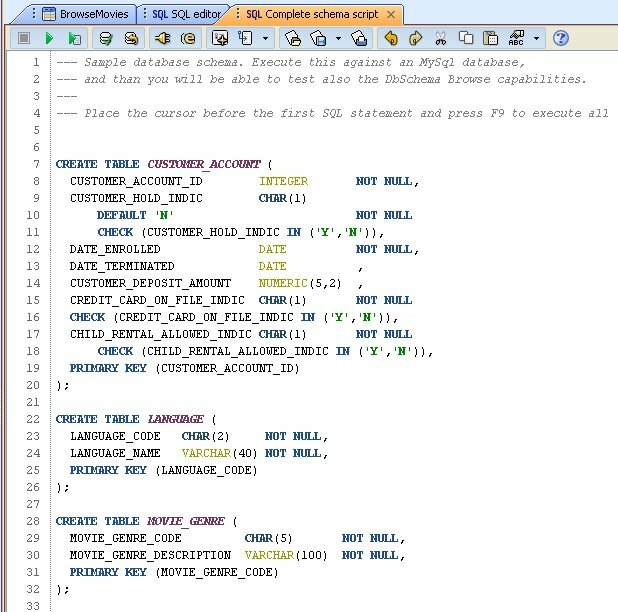 Heck, sometimes I create databases just for fun, even if I don’t need one that instant for an app I am working on. Speaking of creating and using databases, I do a lot of web development and therefore I use a lot of databases to get done what I want to get done. About now, you are probably asking yourself why in the world is this crazy nut telling me about his database fetish? Well, I am glad you asked! 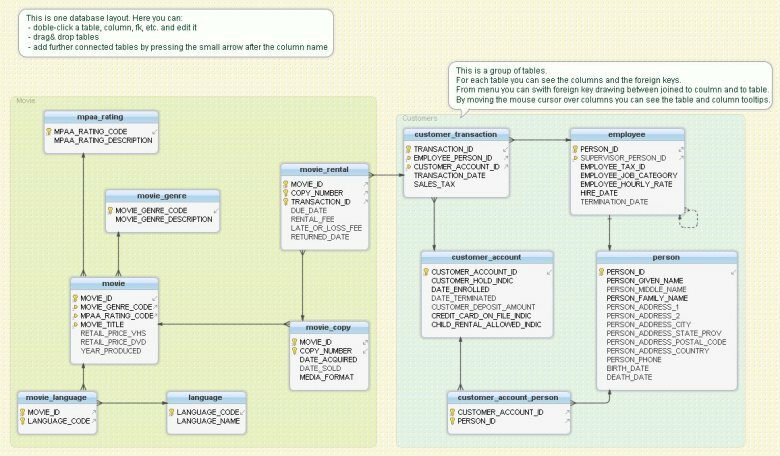 For years now I have been on the lookout for a really good design tool that would let me graphically draw, create, brainstorm, edit … well, whatever the heck I want to do with databases. Being a visual person, the graphical part of this desire was pretty important to me. It was also what seemed to be the hardest to find, a good graphical tool. 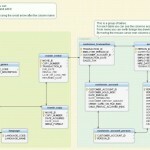 I tried MySQL workbench, Visio and DBDesigner to name a few, but none of them really stood up to even basic requirements either functionally or visually. It seems that I could find one or the other, but not both. Maybe I am just too picky. Or at least that is what I thought until I ran across this awesome little tool called DbSchema. Oh yeah! 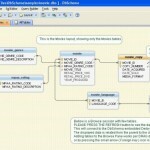 You can even download a free version of the tool at http://www.dbschema.com/download.html, so go check it out. 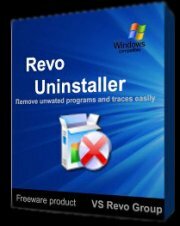 Revo Uninstaller, One Bad Program Remover! Bad as in good, as in one bad motha’SHUT YO MOUTH! Jus’ talkin’ ’bout Revo. Sorry, I digress. Anyway, this cool tool is called Revo Uninstaller as if you didn’t catch that already, and it’s one of the most useful Windows tools I have come across in a long time. Don’t get me wrong, all the Cool Tools are great, but this one is a real gem. What does it do? The short version is that it uninstalls software. In reality it does far more than that. Yes, it interfaces to the standard Windows uninstaller, but it also can find stuff the uninstaller left behind (both registry items and files/directories) and remove them. It can even monitor an application that doesn’t have an installer and figure out how to go in and remove it. Now that’s cool. All in all this has been superb at helping me keep my hard drive clean when I remove applications, and it keeps me from having to do all of that searching by hand like I used to do. Best of all, it’s FREE! Yep, you heard me, it’s free. So go give it a test drive today, I am certain you will love it as much as I do. Be sure to check out the rest of the Cool Tools that we have listed, you never know, you might find that perfect utility that you have been looking for! Greetings folks, I’d like to take a moment to share with you something that I found a while back and have been using since I found it. What I found was a service, a source code hosting service fully integrated with Subversion. Now, I had already been using Subversion, I had it setup and running on my own servers in my lab. I had even looked at the idea of commercial Internet based Subversion hosting since it would put my source code archive off-site and accessible from outside my lab, but the providers and plans I found were either expensive, feature light, or just didn’t seam to be a quality service provider. Usually more than one of those things. Besides, I am very picky about where I put my source code. Call me paranoid, but I don’t toss code around anywhere, I have to be comfortable that it’s in a safe and secure place. So, now enter Code Spaces, the best hosted Subversion I have ever seen, even over hosting it myself. The service is superb and the features included go way beyond simple Subversion hosting. In the end, between the ease of use and the extra goodies that they include with the service, not to mention the reasonable price, I believe in the long run I am saving money over hassling with doing it myself. Not to mention my code is now safely archived off site, which is great for disaster recovery. There’s more to it than that, but you really have to go check out their site to get a handle on all that they offer. Frankly, if this type of service is something that you want or need, I’d give them a shot for the 45 day free trial. That’s what I did and I was blown away by how good their service is. Check them out at http://www.codespaces.com today! By the way, if anyone is interested, this is not a paid endorsement. I don’t get any kickbacks or consignments if you sign up and they didn’t pay me or give me a credit/discount for this post, I just like the service that much that I wanted to share it with all my visitors. Enjoy!